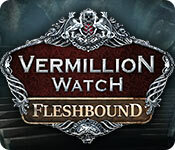 Vermillion Watch: Fleshbound is rated 3.6 out of 5 by 16. Rated 3 out of 5 by 29526 from Too much talking, not enough playing The graphics in this game are great. The story is OK, though I don't follow the dialogue too much. The reason I gave this game only 3 stars is because there is way too much talking and not enough playing. I was having to read and listen to too much dialogue and not having enough actual play time to make this game worth buying once my trial was done. Rated 2 out of 5 by coolplaid from too many "action" scenes If I want to play a game where I shoot a crossbow or climb a wall, it's not going to be a point-and-click adventure, sorry. And this game had waaaaaaaay too much of that. I ended up not bothering to finish the game as a result, which is too bad. I liked the story, the map was decent, the puzzles were interesting without being overwhelming. I'd have liked more HOGs with longer lists, but they weren't hard to see or confusing, and there was some variety in the types of clues - words, pictures, or puzzle pictures. Really, for my money, the developers should have wasted less time on pretend shooting at things and spent it on more HOGs. I won't be playing any more games in this series. Rated 2 out of 5 by BooksandGameFan from Not what I expected! I did not enjoy this game at all, as a matter of fact, I dragged myself almost 3/4 through the game when I'd had enough and just deleted the game. Eipix did a fantastic job portraying London in the early 1900s. All the locations are stunningly designed so that they are both fascinating to look at and fit with the era of the storyline. music is sophisticatedly composed and the voice-overs are top-notch. 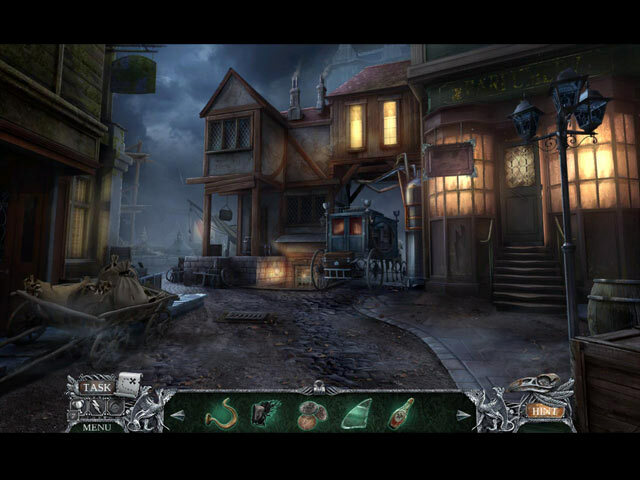 That's where Eipix excels in the visuals but the story gets lost long before you are even halfway into the game. There are a lot of things you do that make zero sense. ie. stopping water pouring out of a faucet with a powder puff, turning red hot valves with no gloves on? There are more, but I can't think of them right now. 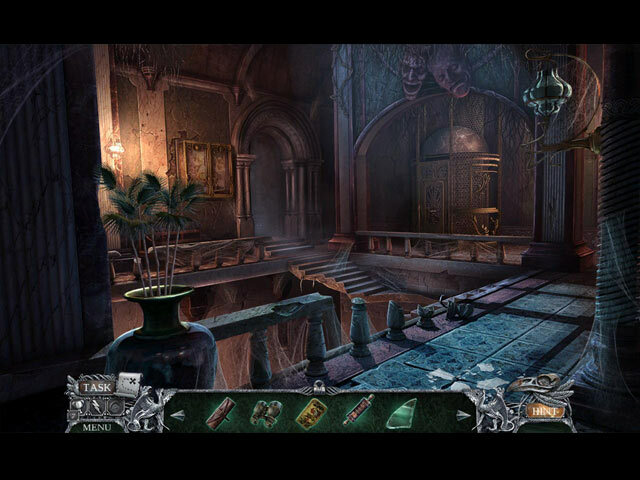 I didn't find the hidden object scenes nor the mini games added nor moved the story along. I do not like how they tilt the hidden object scenes, and I really don't like all the panning in and out of the camera, it gives me a headache! I use to be a big fan of Eipix with their older games, but honestly not anymore. I've enjoyed maybe 2 of their games in the past year. They have forgotten how to tell a story and how to keep things cohesive. It's a shame because the concept was great, the characters if utilized could have been amazing. It wasn't? It's like decorating a gorgeous wedding cake only to find it's all styrofoam underneath! No, I do not recommend this game. 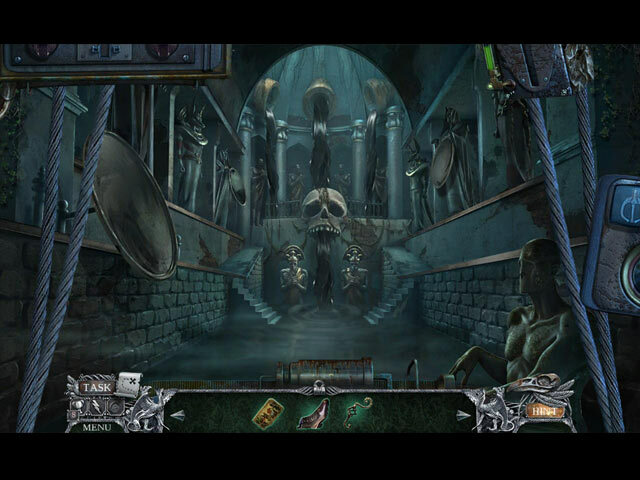 Rated 2 out of 5 by Granny_Gruff from No story, No Fun, No Sale! Young Hawkes, having inherited his deceased Uncle's worldly goods along with his place in the Vermillion Watch, a group dedicated to fighting crime, is pressed into investigating what would appear to be a simple theft of a meteor piece. Because the Red Queen, chief villain, is involved, all of the Vermillion Watch is on High Alert. Something bad is in the wind. And that is as much story as you'll get, other than the fact that the thief of the meteor piece, Lupin, practically begs you to follow him to the big meeting of the bad guys! He even left his calling card in the meteor's place! Good stuff: Usual game elements; nice, but once again dark, artwork; and morphing objects in some of the HOPs. Bad stuff: There is nothing to draw you into this flimsy pretense of a story. The biggest mystery seems to be why Lupin challenges you to follow him to his secret meeting knowing you belong to the Vermillion Watch. Since he leaves you every possible clue including an invitation, you go, get trapped, rescued, and the incredibly bland demo ends. There is virtually nothing to entice me to follow the investigation, especially since I found I had finished the demo in a fraction of the allotted time. You really need to see if you can find more in this sample of a bland game before you buy. Rated 2 out of 5 by bessiegirl from Can't believe I paid full price for this. What an awkward, slow, tedious game. I actually could not finish it. The demo was good, so I bought it, but it rapidly slid down hill. Even Dupin was different. Transporter map blocked you quite often...still haven't figure that out, so I had to use the hint to move around, which I did quite often. Skipped all the tedious puzzles and the HOS were tiring. Scenes were dark and you could hardly see anything, hence the use of the hint. Instructions were vague which made the game even more frustrating and the different story-lines were just absurd. Can't figure out all the "warnings". This game wasn't a whole lot different or "intense" than any others I've played. I guess that is a hook to encourage game play. Just couldn't take anymore...seemed like the game was never going to end.